♥ TAR13 ♥ *WINNERS* Nick Spangler & Starr Spangler!! Topic: ♥ TAR13 ♥ *WINNERS* Nick Spangler & Starr Spangler!! This brother/sister team will stop at nothing to win the Race. Both are extremely driven and competitive, especially with one another. They admit to being over-zealous when a prize is involved – even if it’s only bragging rights. They’re excited to use this to their advantage on the Race. Nick and Starr could practically be twins, and consider each other best friends, even though they rarely see each other due to distance. They hope to strengthen their relationship on this adventure, but do worry that since they haven’t spent much time together in several years that they could get on one another’s nerves. After all, in high-school they were bitter enemies. 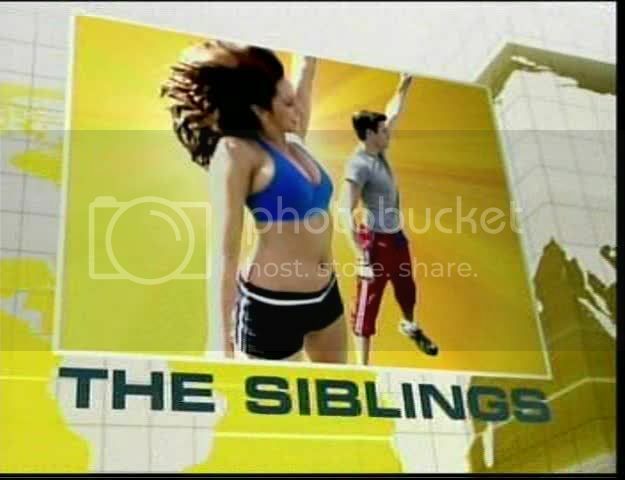 Nick claims that the biggest difference between them is that Starr can be a bit reckless – she leaps into a situation without thinking about the repercussions - while Nick thinks everything through before acting. Starr claims that she is simply more spontaneous and figures everything will work out in the end. They’re anxious to bring a new approach to the game and are motivated to strengthen their relationship. They believe that their charisma, wit and relentless spirit will make for a dangerous combination. Re: ♥ TAR13 ♥ *WINNERS* Nick Spangler & Starr Spangler!! I have seen Nick in Fantasticks - and he is just that! Someone put up a facebook page for this team - and Starr joined it! Figures as they are the age of the facebook crowd. May be something to watch as their friends may post some cool info. 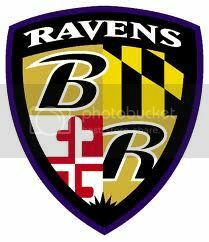 I think I'll be rooting for them! 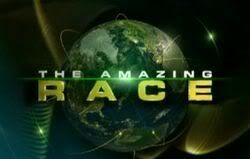 Nick Spangler, who goes on a journey into the wide, cruel world nightly as Matt in Off-Broadway's The Fantasticks, will circle the globe this fall as a competitor on the CBS reality series "The Amazing Race." Along with his cheerleader sister, Starr, Spangler will battle other teams in a race against the clock, navigating roads, airports and waterways and completing tasks cooked up by the producers. Past teams have done everything from lug a side of beef through the streets to milking a camel — and drinking the warm milk. The 13th season of the Emmy Award-winning series (premiering Sept. 28 at 8 PM ET) begins at the Los Angeles Memorial Coliseum and follows teams across 30,000 miles in 23 days to Brazil, Bolivia, India, Russia and Kazakhstan. At stake is a $1 million prize. At the Snapple Theater Center in the Manhattan theatre district, clean-cut Spangler goes from innocence to experience nightly as Matt, who sings "Soon It's Gonna Rain," "They Were You" and "I Can See It" — that famous song about roads that take you away. "He's a hottie — a hottie, a hottie," said Pat Addiss, one of the producers of The Fantasticks. "The girls just love him. He's such a professional. He's adorable…all the little girls come and get autographs…"
Addiss said she'll be watching "The Amazing Race" every week to see how the Spanglers fare. All parties involved in the series are sworn to secrecy about the result of the pre-taped and edited race. Born and raised in northern California with three siblings, Spangler's theatre career started at the age of five when he appeared as a Munchkin in a local production of The Wizard of Oz. He continued to pursue musical theatre and attended college at New York University where he performed the leads in Bat Boy: the Musical and The Last Five Years. His other theatre credits include Jimmy in Thoroughly Modern Millie (Gateway Playhouse), Jean Michael in La Cage aux Folles (Arvada Center) and Matt in The Fantasticks (Casa Manana). Prior to assuming the role of Matt in The Fantasticks Off-Broadway, Nick appeared in the production for nine months as The Mute. His Off-Broadway performance as Matt was recognized with The Theater Hall of Fame's 2008 Elaine and Jerry Orbach Musical Theater Fellowship. Starr Spangler, his sister, is a cheerleader for the Dallas Cowboys. The Fantasticks plays The Snapple Theater Center, 210 West 50th Street at Broadway. For tickets call (212) 921-7862 or visit Ticketmaster.com. Oh my gosh--is this our new theme song?? gorgeous voice! I love them too! and wow she is drop dead gorgeous! As promised last week, today Blog Stage spoke with actor Nick Spangler, star of the Off-Broadway revival of the long-running The Fantasticks and now a contestant on the upcoming season of The Amazing Race. Spangler will compete with his sister and teammate Starr Spangler, a former Dallas Cowboys cheerleader, in the 13th season of the reality competition series. In this exclusive Blog Stage interview, Spangler discusses The Amazing Race, The Fantasticks, and how being eliminated from a reality show isn't quite like bombing an audition. Absolutely. You couldn't run The Amazing Race by yourself. You rely on your teammates at times, and you carry your teammates at times, just like in The Fantasticks. I've got my favorite jokes that I tell in the show, but there's almost no joke that isn't set up by another actor. Unless you're doing your own standup comedy act or your own one-man show, you can't expect to have the same reactions that you get with the help of your cast members. Cool link to broadway.tv video interview of Nick backstage dishing on the Amazing Race! Gives a little more insight into him as a person. (Yup, i am a fan, and spend way too much time googling Nick and Starr Amazing Race 13!!!!) So now they are living together apparently, in NYC, since race time. NOTE - IF YOU TRIED THIS LINK AND IT DID NOT WORK PREVIOUSLY, IT MOVED, SO HERE IS JUST THE VIDEO LINK. IT WAS ADDED 8/29. Sorry for the inconvenience. Anybody able to get to NYC should go see Nick in The Fantasticks. He is AMAZING (no pun intended) and he always signs autographs after the show for the people waiting!! You can meet him now before he becomes a TV star!!! Plus the Fantasticks is a really good show too. Here is a link to a very recent concert appearance with Erica Piccininni from Jersey Boys at Union Square Park. He sings so beautifully! Fun shots show what I hope are their real personalities. Time will tell! It is easy to leave them comments and you do not have to log in/sign up. No ads! Show them some LOVE! You know I was in NYC a couple days ago, and I went to see the theater he proforms at, its very small! I got my picture taken by the sign, but that would have been cool if he was there. Well, North, if you had actually gone to SEE the show, or even went at the time it was over and waited at the stage door, you could have actually met Nick and gotten an autograph and picture with him! He does not live at work, you know! Oh, yeah, he is about to depart on the race with his sister - wink wink! lol I know, but I had another show to get to that night. A guy I know is in South Pacific, so he took us backstage of his play that night.